I feel a little special. Well at least I am going to take credit for it. Although I know it just couldn’t have been little old me who did it. What am I talking about? 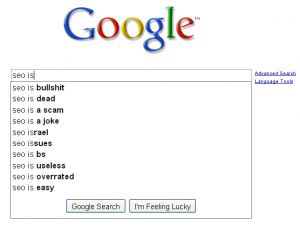 Well I am talking about influencing Google Suggest results. 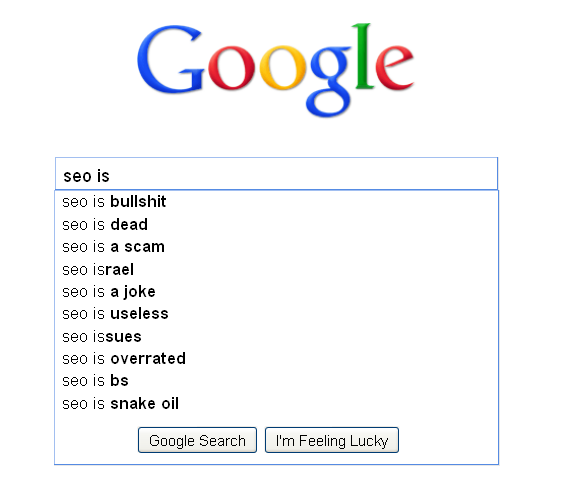 In that post I called out why “SEO is Easy” deserved, on all accounts, to be in the suggested searches. Well, today I feel as though I have some small power over Google, or rather maybe just some psychic abilities. Take a look at the screen grab to the right. Do you see what I see? Yep. 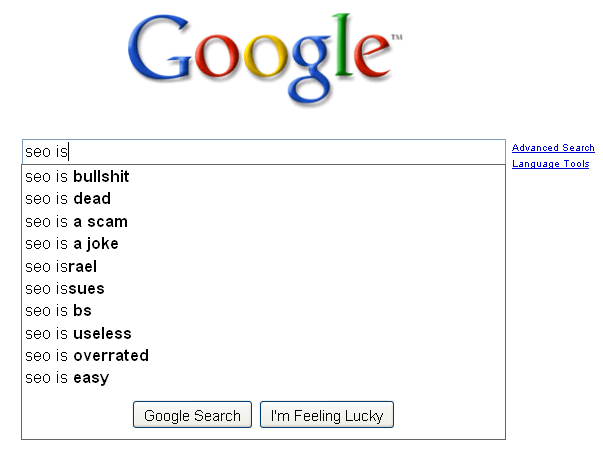 That very last result says “SEO is Easy”. I did it, I put that there, well, I like to think I did. 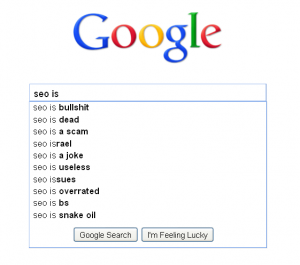 And at the very same time I did my part help our community by getting one negative suggestion out: “SEO is Snake Oil”. No need to thank me my fellow SEOs and SEMs Google Suggest fascinates me to say the least. I think I am going to be spending more and more time digging into it. Thanks for getting in touch. I do not provide services for this. But I may be able to help, first there are couple places out there that can help. The way to push this down is by making other content more important. But that is hard to do since you need to overwhelm Google to the point they recognize that these new similar queries are more important and should show up. There are several Online Reputation Management Firms out there, but depending on what you need they may not be able to help. May I ask what the search suggestions are?